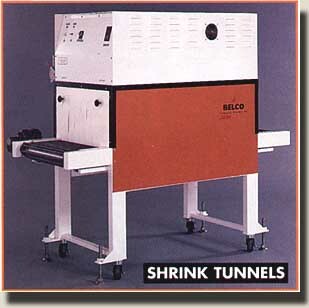 You'll profit from the solid advantages of Belco shrink tunnels. These ruggedly-built machines provide the framework for greater productivity and less maintenance, which means higher profitability for you. Belco's durable, heavy duty, fully-welded tubular steel frames give you dependable performance and consistent results, even after years of hard use. Belco shrink tunnels are built to last. No bolts to loosen and weaken the machine. No shaking and rattling to affect production performance. No parts sticking or jamming in critical situations. Each tunnel's carefully regulated air flow pattern gives you a precisely shrink wrapped package, along with energy savings and lower operating costs. What you get is a total performance shrink tunnel. With over 40 years of manufacturing experience, Belco has learned that our framework for productivity and profitability relies upon many important elements beyond the machine frame itself. That's why Belco shrink tunnels feature a microprocessor based, digital temperature control which provides greater tunnel temperature accuracy and assures you consistent, uniformly shrink wrapped packages. These well insulated, smooth running tunnels will shrink all commercially available shrink films. By tuning the air flow pattern around your product, Belco shrink tunnels can operate at lower, more energy efficient temperatures, run at faster production rates and make less demands on your work environment. No matter how difficult your production schedule or what kind of film you choose, you can depend on Belco shrink tunnels for maximum performance and optimum results. Inside and out, from top to bottom, Belco creates a framework for efficiency... a machine that pays for itself. Specific Belco machines feature automatic tunnel cool down that extends heater and conveyor life. Various conveyor types are available depending on your product and required packaging needs. Heavy duty locking casters for portability and space conservation are standard. It's not surprising that the most dependable... and consequently, most productive... shrink tunnels on the market are made by Belco Packaging Systems, Inc. The largest manufacturer of shrink packaging and blister sealing systems on the West Coast, Belco engineers every product for long life and maximum productivity. All Belco machines art backed by a quality service and repair network, a friendly, knowledgeable staff that makes doing business so easy and one of the most comprehensive warranties in the industry. 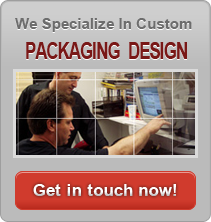 Belco Packaging Systems, Inc., the experts at developing complete packaging systems for your specific requirements, is committed to your total satisfaction. No ifs, ands or bolts. Do your packages include irregularly shaped designs, windows or high profile cube boxes or cartons ? If so, some of your products may require more precise air control to maintain quality shrink packaging, therefore, you may want to consider one of the Belco "recirculating air" tunnels. Your range of package sizes is from small to very large and heavy, rollers should be your choice. If you're going to be shrink wrapping very small to medium sized packages or loose multi-packs, a belt conveyor may accommodate your needs.